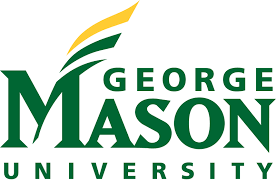 George Mason University is a four year, public university in Fairfax, Virginia. Mason Online allows students to take the same classes offered on campus in an online format while at home, stationed abroad, or traveling. George Mason is a young university that, in just a short time, has made impressive strides in size, stature and influence. Today, as Virginia’s largest public research university, we are setting the benchmark for a bold, progressive education that serves the needs of our students and communities. The mission of the Office of Military Services at Mason is to assist veterans, active duty service members, guardsmen, reservists, and dependents in making a successful transition into the Mason community. Our goal is to help these students in a number of capacities including counseling and advising on benefits, academic and admissions advising, and career transition. George Mason is a MyCAA approved school. The university also has separate scholarships set aside specifically for military affiliated personnel. Additionally, some faculty and staff members have been trained to provide specialized support to members of the military, veterans, and their families attending classes at Mason. Few schools have a dedicated staff to help transition from a military environment to college life and we are proud to be able to assist our students in any way.